Positioning R.Tape for growth by building a stronger brand architecture and tech foundation. As a long time brand partner, we have been through several growth stages and acquisitions with R.Tape. At this stage of growth, we helped them reorganize their brand structure to clarify their offering to reinforce their leadership position and win over new customers. How do we use brand to build better customer relationships to expand our offerings and scale the business? When R.Tape was acquired by Nekoosa, their growth strategy was centered on acquisitions and product line expansion. In the process, they had outgrown their original identity and “house of brands” system and their website needed a significant back-end upgrade to support a more diverse complex product offering. We were brought on to evaluate the brand and experience debt that had accrued and use our findingS to guide an update to their communication strategy, brand architecture, and website. Developing a scalable brand system and data architecture to set them on the path of growth. When we first designed the brand, R.Tape offered 3 products. Over the next 7 years they grew to 13 product lines with over 70 products. The goal of the brand refresh was to make sense of the growing product offering and create a visual and naming system that can accommodate future products. In doing so, we clarified the relationship between the various product brands and the parent brand to build equity across several markets. The growing product offerings required a matching communication and web platform to extend their brand reach and strengthen their customer relationships. 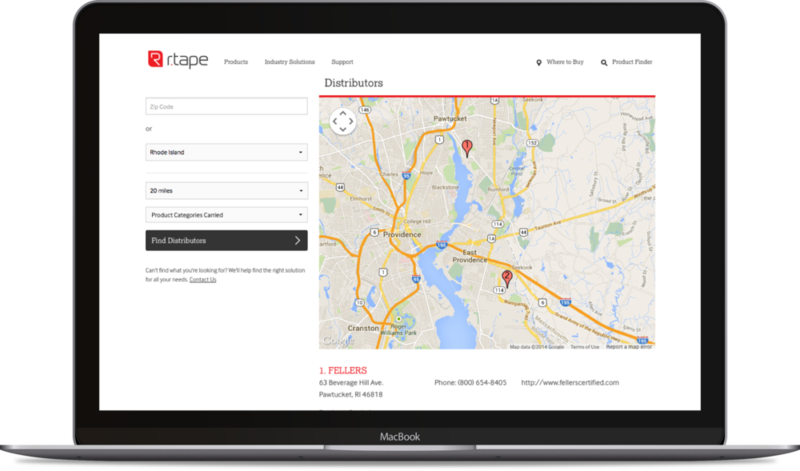 We worked with R.Tape to simplify their communication approach and design a scalable product catalog to engage end-users and distributors, build loyalty, and encourage advocacy. Over the next 3 years, R.Tape grew into the most profitable brand in Nekoosa Holdings portfolio. We are currently helping Nekoosa scale their business by integrate newly acquired brands and developing new technologies, like the next generation digital catalog. The new catalog brings all portfolio offerings together into a single site that increases the opportunities for up-sell and cross-sell.